Stop press! 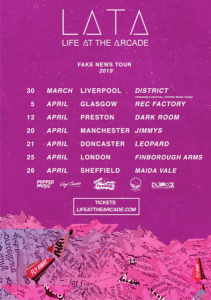 Incandescent Liverpool four-piece – LIFE AT THE ARCADE – are back with a scandalously gripping new track: “Tabloids”. Written in early 2018 and finding itself as a staple of the band’s live set for some time, “Tabloids” receives its fully-finessed pressing this Spring and will hit the shelves on 28th March 2019. 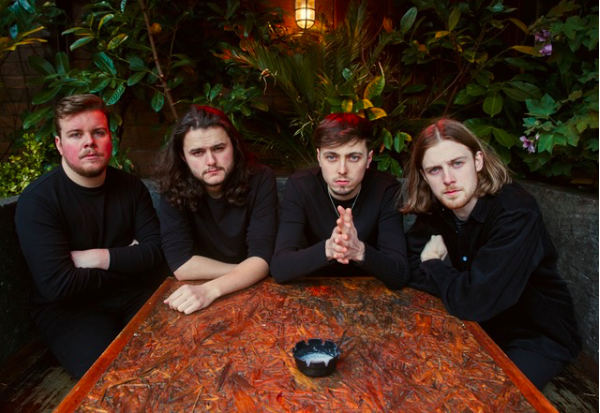 Harking from a city which has long boycotted one such newspaper for its unforgivable misdemeanours of the past, this four piece are well-and-truly hacked-off with a culture of torrid tabloid journalism. 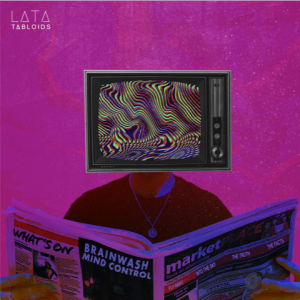 On this scathing new single “Tabloids”, the fast ascending indie outfit stick two firm fingers up to repugnant reporting practices and those publications that wilfully propagate fake news through our society. Originally penned in guitarist Adam Holmes’ basement in Liverpool in 2018, the finished version of the track was recorded at Liverpool’s prestigious Motor Museum, with final production added by James Mellor and mastering by Mike Cave earlier this year. Since forming in 2015, Life At The Arcade’s upbeat indie pop rock has seen them rapidly grab the attention of gig and festival goers, plus easily earn fans at BBC Introducing (Dave Monks) and BBC 6 Music (Chris Hawkins, Tom Robinson), plus even scoop an honourable Track of The Week at Radio X with irresistible former single “Wonderland”. On debut EP: ‘From The Basement’, the band offered up a collection of tracks that affirmed their formidable knack for a soaring chorus and intelligent lyric, with the release since cementing itself as essential listening post amongst their growing army of fans. 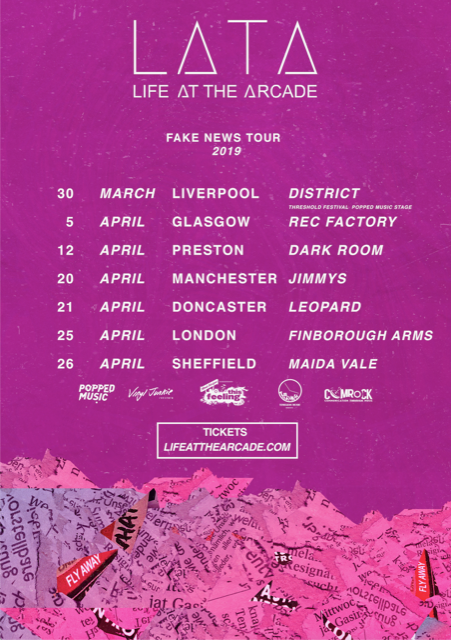 In 2019 at a time of true political and social upheaval, LATA will take their own message to the masses on their wittily-titled ‘The Fake News Tour’, hitting the road in support of their fierce new single “Tabloids”.